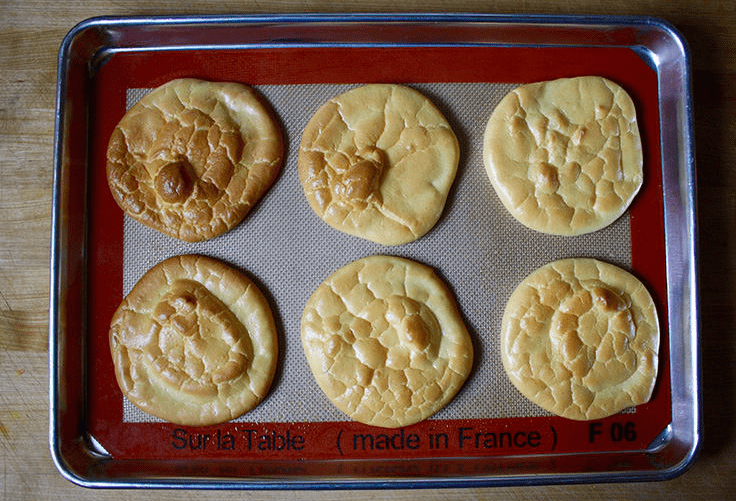 If you haven’t heard of cloud bread yet, let us be the first to share the good news. 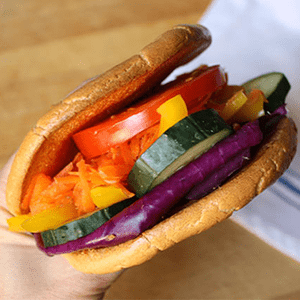 This low-carb, wonder bread (see what we did there?) is taking Instagram and Pinterest by storm, as food bloggers around the world catch on. 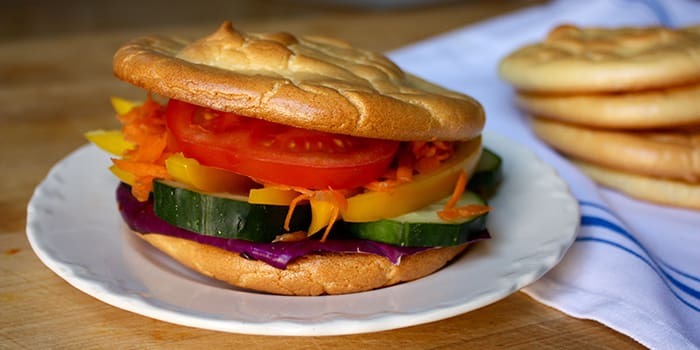 Cloud bread gives you the satisfaction of eating bread, minus the carbs. Made up almost entirely of protein, it is light and fluffy, but sturdy enough to bookend a sandwich or act as toast. And, this recipe has only 47 calories per slice. Most cloud bread recipes call for eggs, cream of tartar (a natural thickener), and cream cheese, which despite being delicious, is not very good for you. We decided to try making it with several healthier dairy options, including Greek yogurt, ricotta cheese, and whipped cottage cheese. In our testing, all of these ingredients yielded great results, but we found that the breads made with Greek yogurt had the best texture. The sandwich-sized rounds came out of the oven with a crisp exterior and fluffy – you guessed it – cloud-like interior. When stored overnight, they become soft and chewy. Cloud bread tastes faintly of egg. We found that adding a pinch of salt made it taste more like bread. You can adjust the flavor to your liking with a sprinkling of crushed herbs like oregano or basil, a dusting of paprika or cumin, or sweeten the batter with a dash of honey. Separate egg yolks from egg whites. Place whites in a medium bowl. Place yolks in a separate medium bowl. Set aside. Add cream of tartar to egg whites. Beat with a mixer on high until stiff peaks form, about 4 minutes. Set aside. Add salt and yogurt to egg yolks. Beat with a mixer on medium until blended. Gently fold ⅓ of egg white mixture into egg yolk mixture. 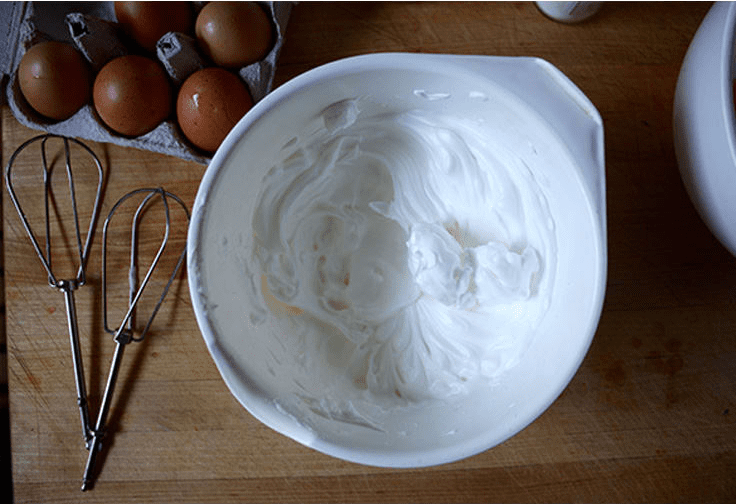 Fold in the remaining egg white mixture until just incorporated, being careful not to overmix. Using a spoon, transfer a scoop of egg mixture onto prepared baking sheet, gently spreading into a thick pancake shape about 3 inches in diameter. Repeat with remaining batter. Bake for 25 to 30 minutes, or until golden brown and exterior is crispy to the touch. 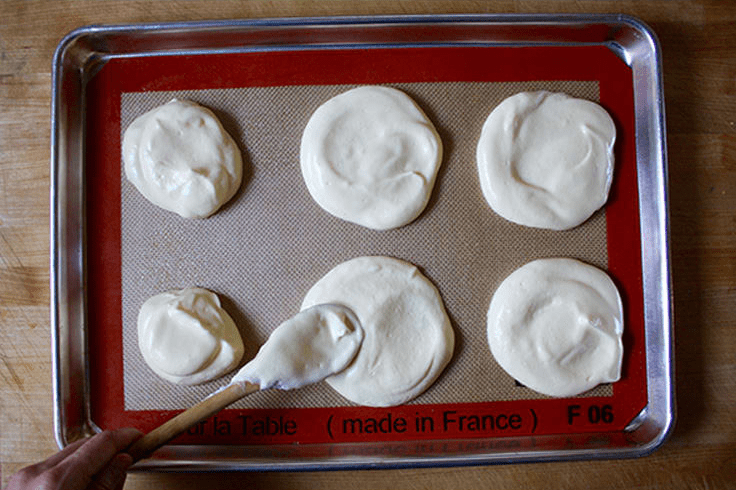 Immediately loosen cloud breads with a spatula; allow to cool on the baking sheet for 3 minutes, then transfer to a wire rack to cool completely. Serve immediately, or store in an airtight container.